Get Runcible At The Black Cat & Big Bear Cafe’s Holiday Markets! Show up at Big Bear Cafe for their annual Holiday Bazaar on Saturday, December 19 sometime between 4 and 8PM, and get a zine! We’ll even gift-wrap ‘em for ya! We’ll also be at the Rock N’ Shop at the Black Cat on December 20 from 7:30PM on… so catch us then! Thanks to everyone for coming out to our cozy little event at Riverby Books DC! 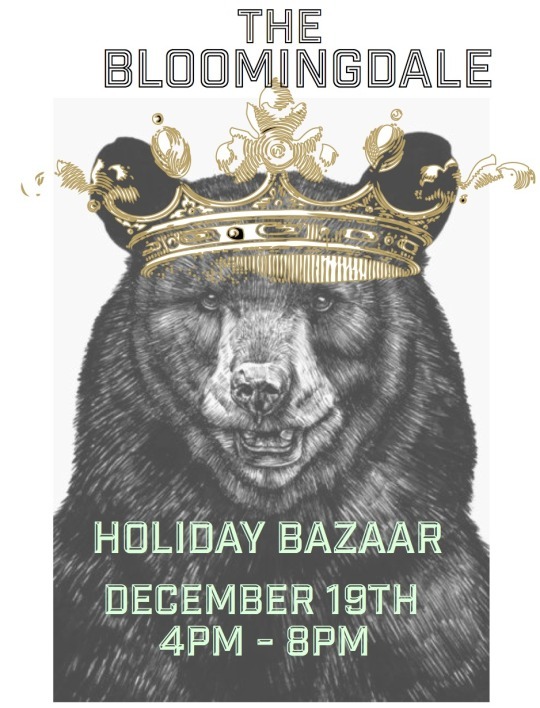 We’ll be at the Big Bear Cafe’s Holiday Bazaar on 12/19, and the Black Cat’s Rock and Shop on 12/20. See you then! 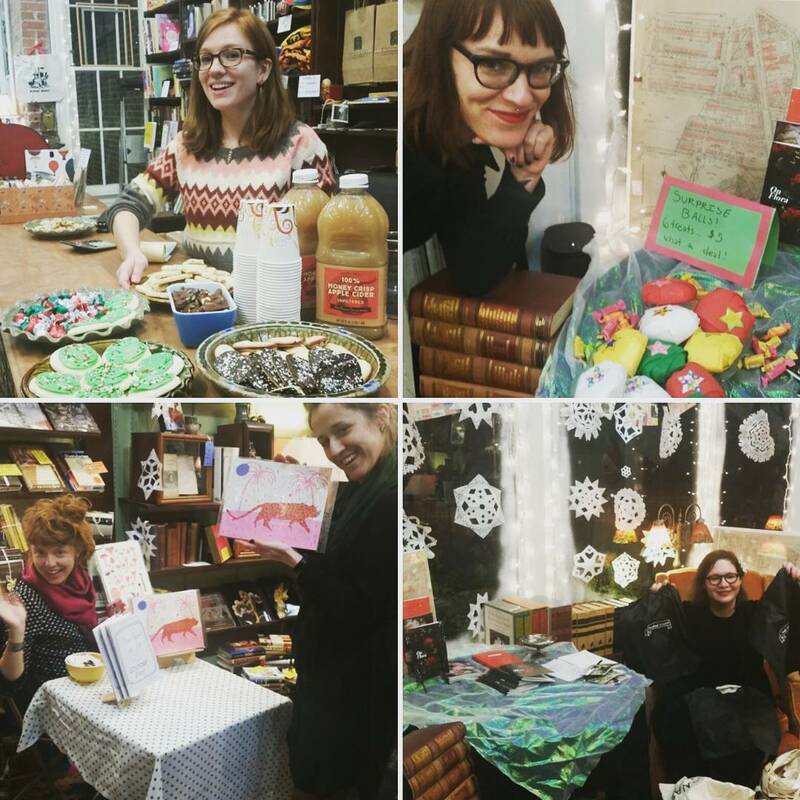 12/9: A Holiday Zine & Craft Market At Riverby Books! 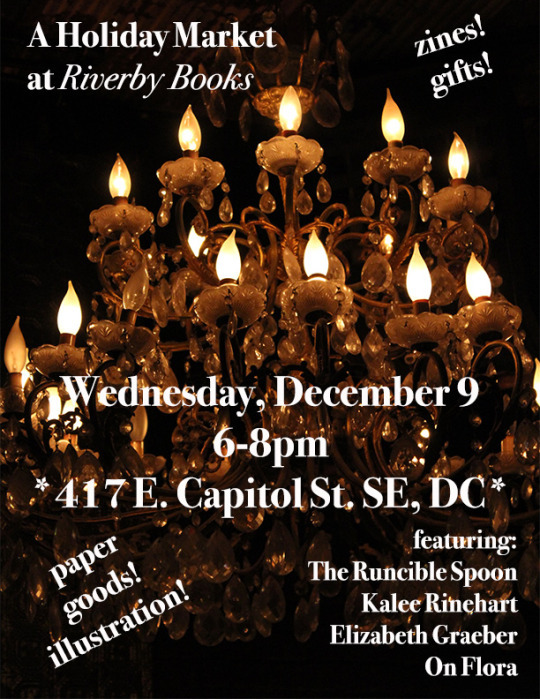 Your FAVORITE FOOD ZINE The Runcible Spoon is hosting A Holiday Zine and Craft Market at Riverby Books on Capitol Hill! AND DUHHHH buy some amazing used books at Riverby, too! Riverby Books D.C. is a neighborhood bookstore located four blocks from the Capitol Building. We sell used books of all kinds, from extraordinary finds and unusual treasures to plain-old good books for reading. You thought we were gone but The Runcible Spoon is back again, with our BIGGEST, MOST INSANE issue ever: the #InternetIssue! Why the internet? Because a whole unique food culture exists on the web that is separate from reality. A place where people listen to sounds of other people slurping and chewing things to fall asleep. A place where people worship Doritos and Oreos. A place where good food photos = good, and bad food photos = good. Order the new (print, not digital!) issue on Etsy here, and get a food-focused look at the internet through the last two decades, from ASCII art to Yelp reviews to ramen burgers to #cakefails. Our feature stories include an experiment in mukbang, a South Korean phenomenon where people livestream themselves eating in front of strangers for hours and hours. Writer Alica Forneret made the first American mukbang and aired it in a live YouTube webstream - and ate a total of 30 things (homemade tortillas, pizza, ramen, dumplings and so much more!) in 4 hours. Another story features one ambitious writer’s attempt to make a 50-layer crepe cake using a Martha Stewart recipe without reading the comments. As expected, it is a complete disaster. We also got writer Jonathan Shipley to eat at the scary, gross restaurants with 1-star Yelp reviews around his native Seattle, and see whether reality matches the hype (for the most part, yes). What else can you expect? 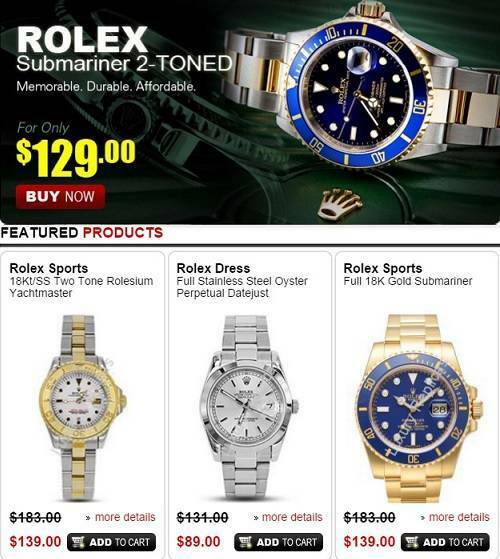 Pop up ads you’d actually want to click. A quiz on what to feed your internet. How to make lasagna… using only Twitter. Our contributors to the Internet Issue are freaking awesome. The cover was made by none other than Jon Chonko of Scanwiches. 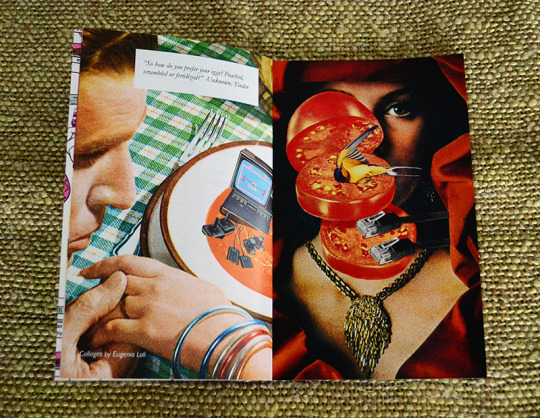 We have some beautiful collages from Eugenia Loli. We have some 2-D gifs from Sam Lyon of Jellygummies. And funny Twitter stuff from Twitter-famous Chris Scott. And emoji makeovers from Canadian illustrator Ed Kwong. Intrigued? Order the issue here on Etsy. You know you wanna! 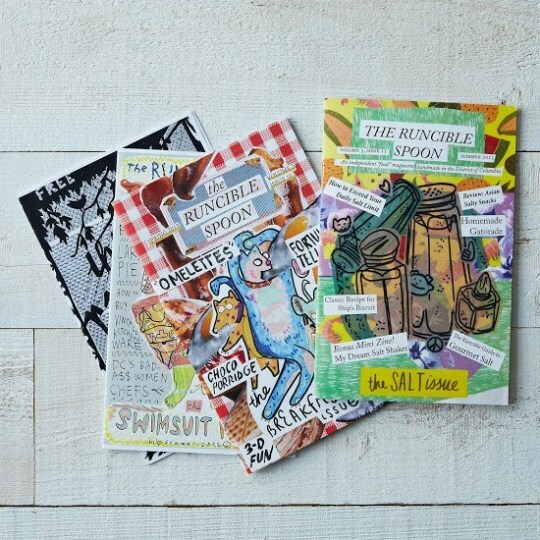 As always, this issue was handmade on Capitol Hill, Washington, D.C., using magazine scraps from food magazines we destroyed and hand-drawn illustrations. 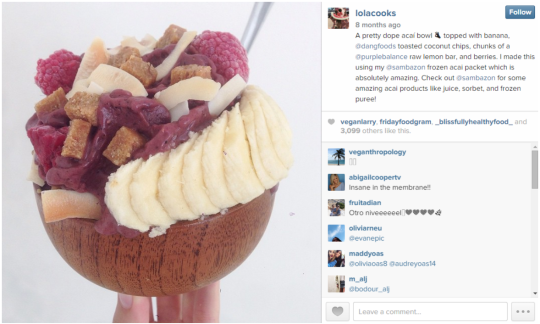 Lola Wolfe, 18, is the brainchild behind the successful vegan-minded Instagram account @lolacooks. She has 106K followers, a YouTube channel, and a cookbook, and just graduated from high school. We asked some questions hoping for some Insta inspiration to up Runcy’s Insta game. 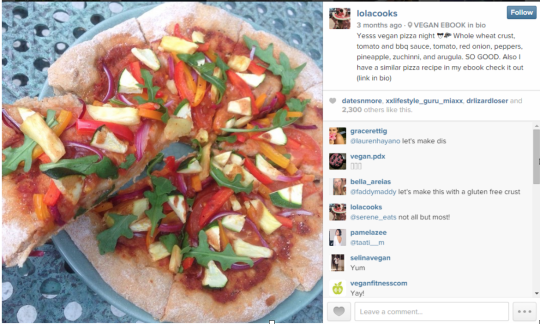 Q: How did @lolacooks initially starte? A: I went to San Francisco for spring break my sophomore year and everyone there is super healthy for some reason, so I started a food Instagram just to post my own pictures because I had always followed food Instagrams. It was really bad at first; the pictures were terrible, but I’ve always liked cooking since so I guess the longer I had the Instagram, the better my pictures got and people just started following me. Q: In another one of your YouTube videos, you call out your high school. Did that video shut them up? A: No, I don’t think anyone from my school even saw that besides one of my friends because I didn’t post on Instagram about it. Nobody really says anything to me any more in high school now, but when people first found out that I had a food Instagram, people in my friend group were annoying about it. It’s weird now because that’s the only thing people know me for if they don’t know me personally. So they call me “lolacooks” and sometimes it’s really weird because it’s just an app that I could delete in a second if I wanted to and it’s not even really real. 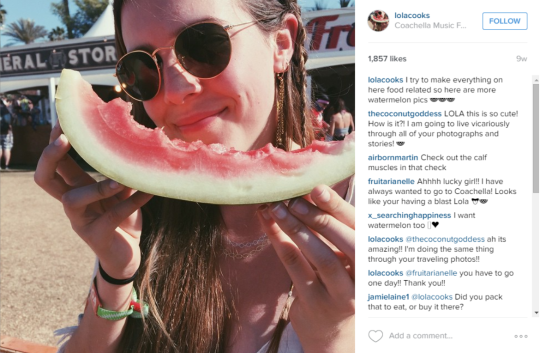 Q: What’s the weirdest comment you’ve gotten on any @lolacooks social media? A: Well this wasn’t a comment but I always get these really weird DMs from random foreign people and I’ve gotten one from this guy laying down and smoking a cigar and it didn’t have any caption or anything. Or sometimes little kids will just send selfies of themselves because I don’t think they really understand what DM is. Q: So you self-released a vegan cookbook. What was that process like? A: When I first started getting a lot of followers people would always ask me for the recipes of pictures I posted, and it’s kind of annoying to type an entire thing into a comment, especially if I don’t even remember what the recipe is. So I decided to just write them down and make a cookbook because I had seen that other people used Instagram as a platform to sell cookbooks. So I started to write down all my recipes, and at first the book was so bad, it was pretty much just a plain word document of my recipes. Then after a while of getting more into learning how to edit stuff on a computer and finishing the collection of recipes, for a month, I just worked on it a lot every single day so I was super busy and then finally I released it and it’s done pretty well. Lola’s cookbook is available here. OUR #INTERNETISSUE IS NOW AVAILABLE IN OUR ETSY STORE! 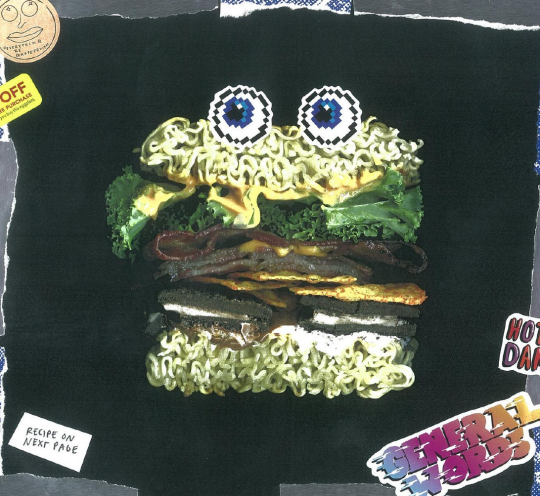 To celebrate, we asked Jon Chonko, the creator of #scanwiches and our awesome cover (made entirely with popular internet foodz), a few questions. 1. 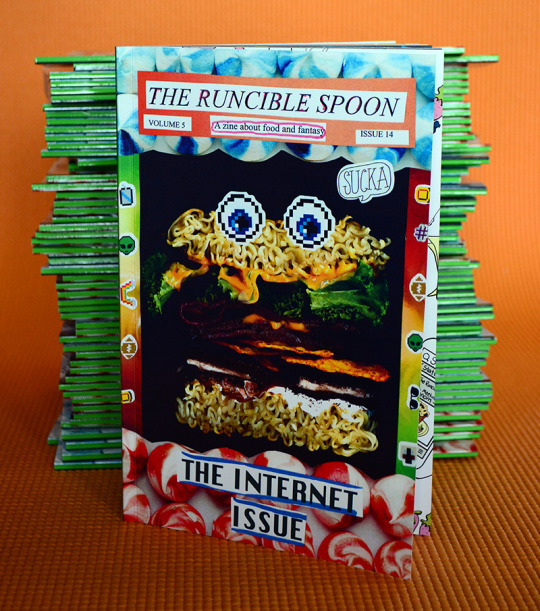 Tell us about the concept of your Runcible Spoon story this issue. Food memes are officially a thing and there are so many good ones. I wanted to see if I could go full Xzibit and but with a meme within a meme to create one big weird food sandwich. 2. Did you actually get to try your sandwich? Yes. I ate it. It was very sweet. I don’t have much of a sweet tooth so it wasn’t really the type of sandwich I would make for myself but the sweet and salty combo of the ingredients was surprisingly tasty. 3. What is your favorite internet food guilty pleasure? My true guilty pleasure is really unappetizing photos of food. Whether they’re are Pinterest food fails or Martha Stewarts terrible fancy restaurant plate photos I get a kick out of seeing stuff that look really bad. I spend a lot of time making food that looks and tastes good so sometimes it’s nice to experience a little culinary schadenfreude. I’m also a big list fan. I love, love, love all the big list that show off the different types of food people eat all over the world, or what’s in everyone fridges, or the local McDonald’s items from country to country. That stuff is so interesting to me. I don’t know that I would call it a guilty pleasure except for the fact that I’ll spend way to much time at work looking at these types of things. 4. Tell us about Scanwiches. Scanwiches is scans of sandwiches for education and delight. It’s a personal project that I’ve been working on since 2009. 5. What is the worst/best part of the internet? The best part of the internet is never running out of new stuff to discover. 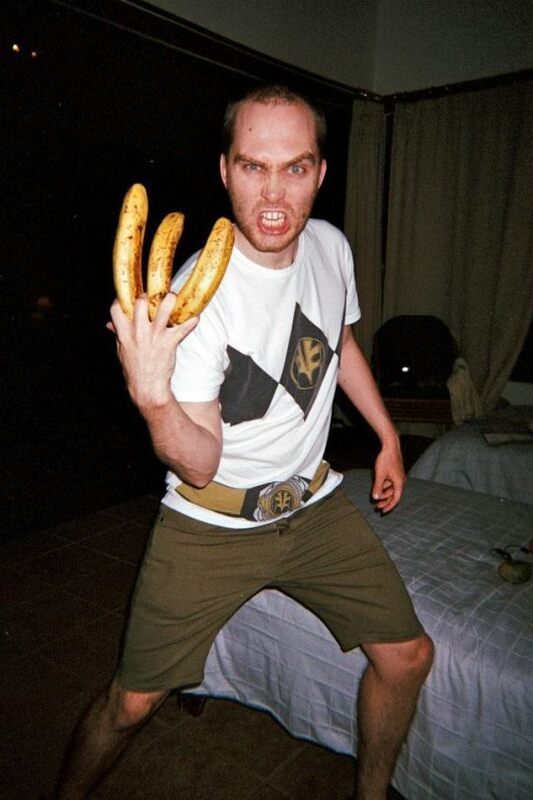 The worst is never getting off the internet to discover things in real life. 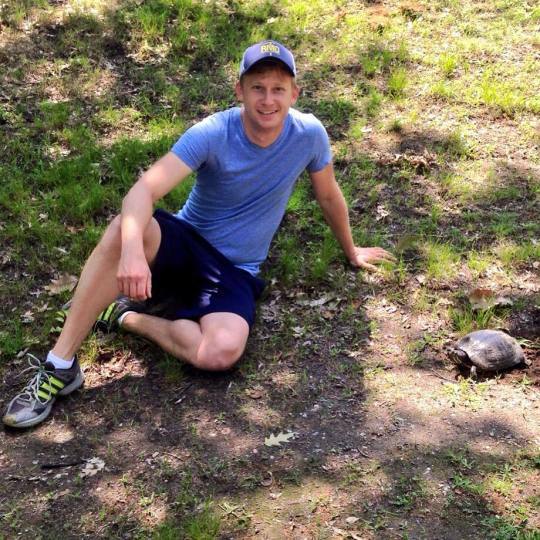 Jon Chonko likes sandwiches and lives in Brooklyn. He eats everything he scans and uses regular Windex and paper towels to clean his scanner. To get the full recipe for the memewich in question, get your copy of the Runcible Spoon here! I’ve always been fascinated by people who were able to grab popular twitter handles of common words early on and never gave them up. Like @lamp or @mars or @flower (I haven’t actually looked at these handles yet, so who knows what’s there.) So the idea of trying to organize a dinner party with the people who hold the twitter handles for key ingredients of a dish really appealed to me. 2. Do you actually have a good recipe for lasagna you can share? Unfortunately, I don’t. I love lasagna but it seems a bit daunting to cook. 4. What is the worst/best part of the internet? The best part is the internet’s capacity to allow people who might never have crossed paths otherwise to connect with and learn a lot from one another. So that’s a really great opportunity to deepen one’s understanding of people and develop a greater sense of empathy. However, the internet also has the capacity to make this more difficult because there will always be an inherent detachment to it. It’s probably a little too easy to forget those are real people on the other side of the screen who are trying and fumbling and struggling with a lot of the same things you are. 5. Is “Yas Queen” still cool to say, or is that not on fleek anymore? I think anything’s cool to say if you like saying it, especially something like “Yas Queen” which has a very supportive and empowering connotation to it. The contributor in his natural habitat. Chris Scott lives, works, gardens, and bakes pies in Boston. You can be his friend on twitter @iamchrisscott. Read Mr. Scott’s full story in the new issue. Order it here! 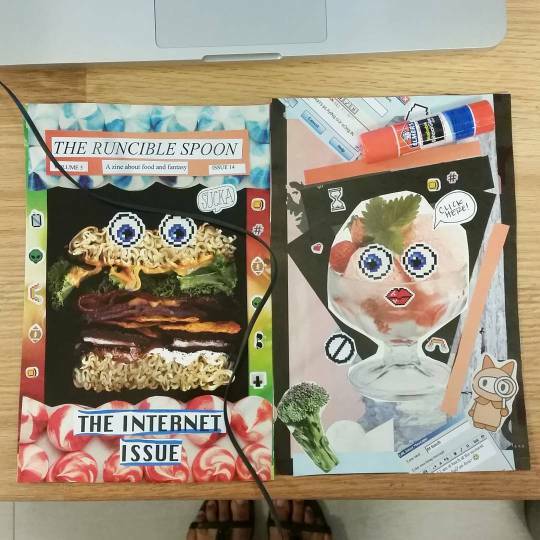 The Runcible Spoon’s 14th issue, the #INTERNETISSUE, will exclusively be for sale at the 2015 DC Zine Fest! The #INTERNETISSUE takes a food-focused look at both the early internet, in all it’s early-tech/now-cringeworthy splendor, as well as the current internet, where pointless clickbait and salacious headlines rule. 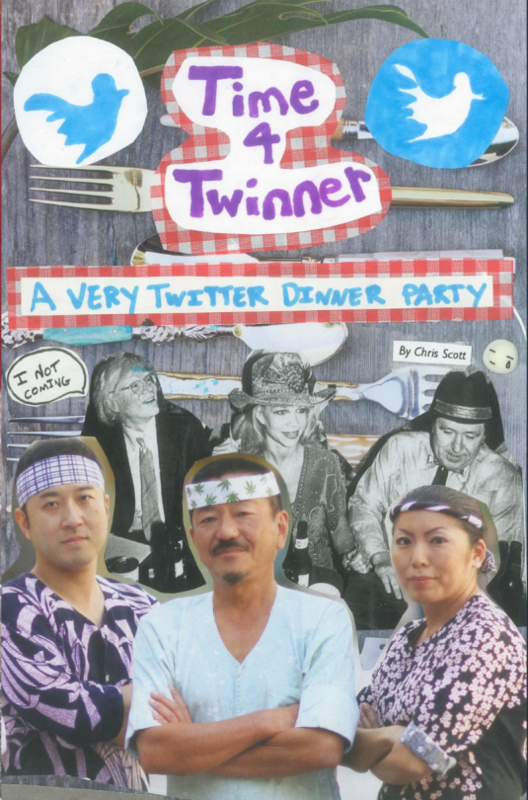 This issue includes Yelp reviews of 1-star restaurants, a guide on how to host your own South Korean mukbang, a Twitter dinner party, our favorite ASMR food videos on YouTube, 2-D food gifs, and a quiz on what to feed your internet. Get it at the DC Zine Fest this Saturday, July 25, at the St. Stephen’s Church in Washington, D.C. The event takes place from 11AM to 5PM. 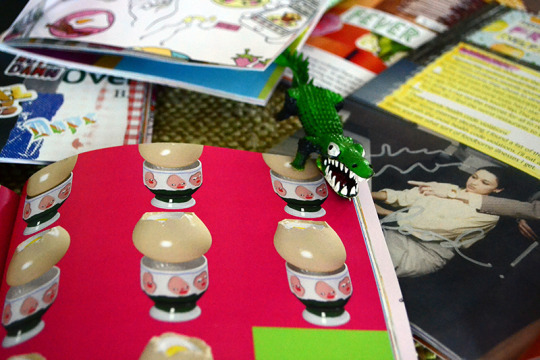 The new issue will be available for the masses on Etsy on July 30. 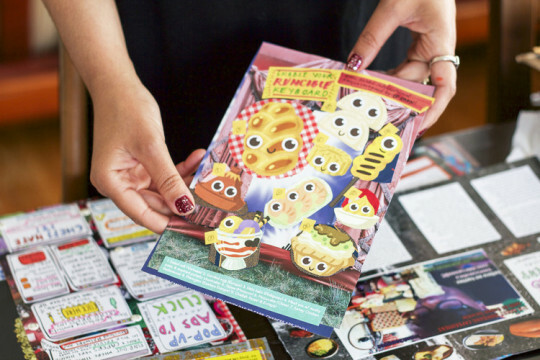 The Runcible Spoon joins indie food magazines all around the world at the 3rd annual Culinary Book Fair in Poland on July 24. The exhibition will feature magazines forming independent projects, publications issued only in several hundred copies (like us! ), as well as commercial magazines with print runs numbering in the thousands. Each of them presents a different story about food. 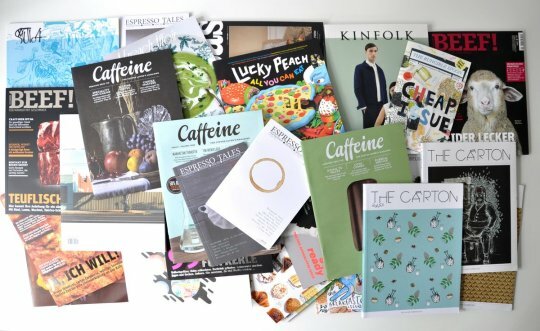 Some of the magazines that will be exhibited during Fair: The Runcible Spoon, Saji, BEEF!, NORD, Salon, Jamie, Deli, essen&trinken, CHEFKOCH, KINFOLK, The Carton, Caffeine, The Art of Eating, Modern Farmer, Lucky Peach, DOLCE, HONEST, TOAST, ALQUIMIE, MOOD, Gastronomica, TAPAS, Espresso Tales, Scrag End, Itinéraires d'une cuisine contemporaine, DINER JOURNAL, Apero. We’re taking a food-focused look at both the early internet, in all it’s early-tech/now-cringeworthy splendor, as well as the current internet, where pointless clickbait and salacious headlines rule. Stay tuned for an announcement on how to pre-order the zine! We’re now on Tumblr! Get all our old blog posts here.